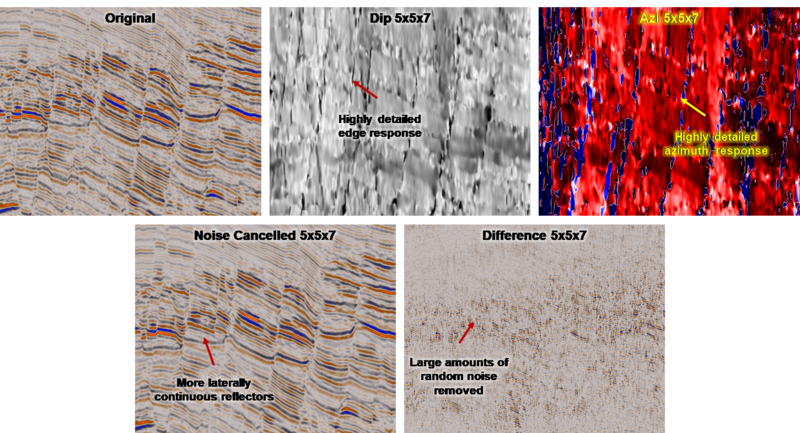 Dip and Azimuth volumes are used in several ways in GeoTeric, from processes such as Noise Cancellation (SO FMH & SO Noise filters) to attribute generation (SO Semblance, SO Dip Derivative, SO Discontinuity, Flexure, etc...). The majority of these filters/attributes have the symbol SO in front of them, indicating they are Structurally Oriented. 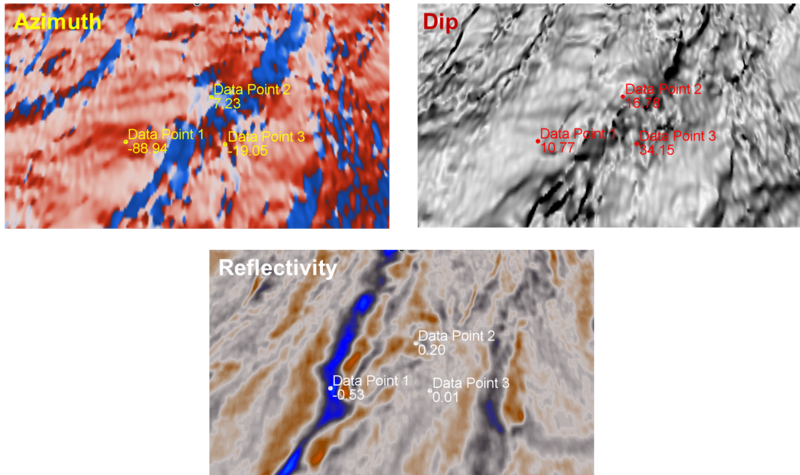 The GeoTeric 2017.2 release not only included the release of the Adaptive Faults as part of our Adaptive Interpretation System, but also the ability to load and visualise data in floating point. 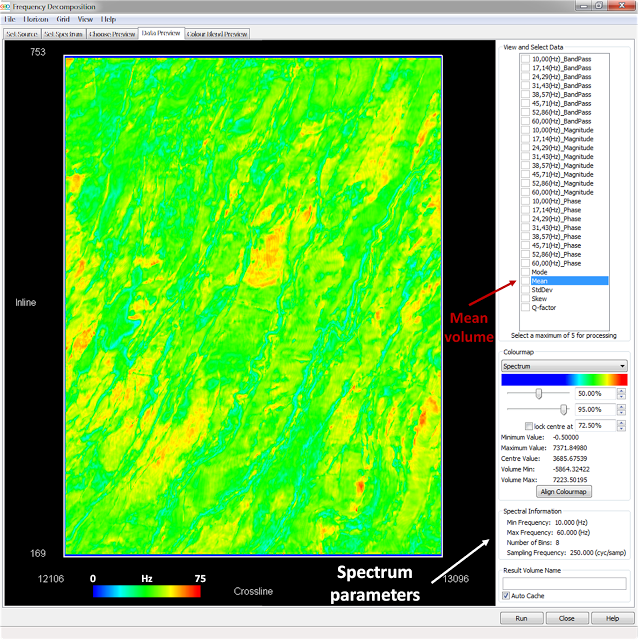 The ability to load geophysical volumes such as Vp/Vs and Acoustic Impedance volumes with their original values allows interpreters to extend their subsurface analysis capabilities in GeoTeric. 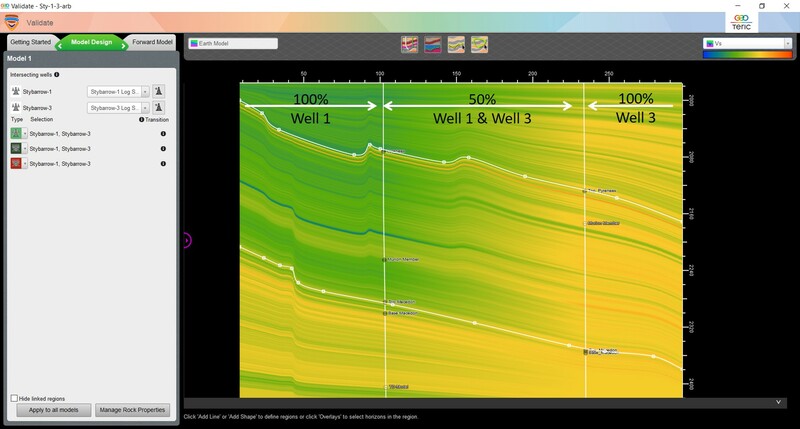 GeoTeric’s Adaptive Fault Interpretation provides a fast and accurate interpretation system which improves the efficiency of your fault interpretation. 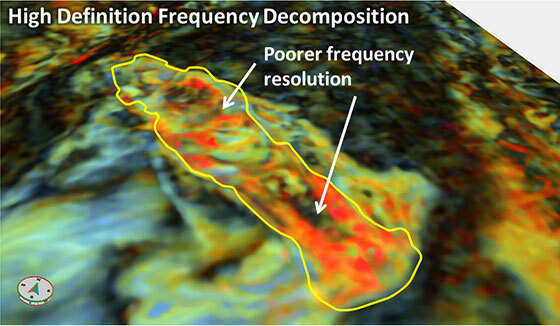 The Adaptive Faults are data following fault sticks, which snap to discontinuities in reflectivity data, attributes or CMY Blends. With just 2 clicks of the mouse you can have an accurate fault stick. The Graph Theory looks at how similar the attribute, or break in the seismic data is from the background and determines the best route from first click to where the cursor is located. 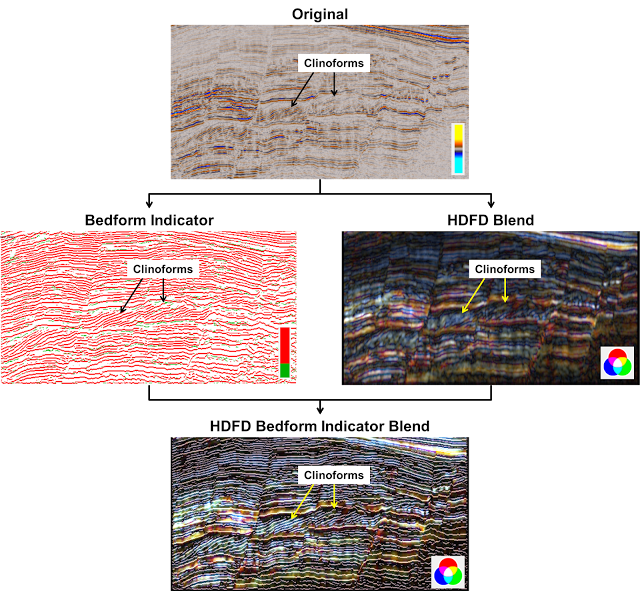 To start interpreting the faults, click on the Interpret module (figure 1) or right click in the 3D scene and select Adaptive Faults. Either option will bring up the main Interpretation menu in the 3D scene. Not all geobodies are discrete geological features that can be extracted such as channels or debris flows, sometime more large scale geobodies need to be calculated. This is often the case when analysing large reservoirs where a “tank of sand” model may be applied or if two horizons pinch-out making geobody volumetric estimations difficult. 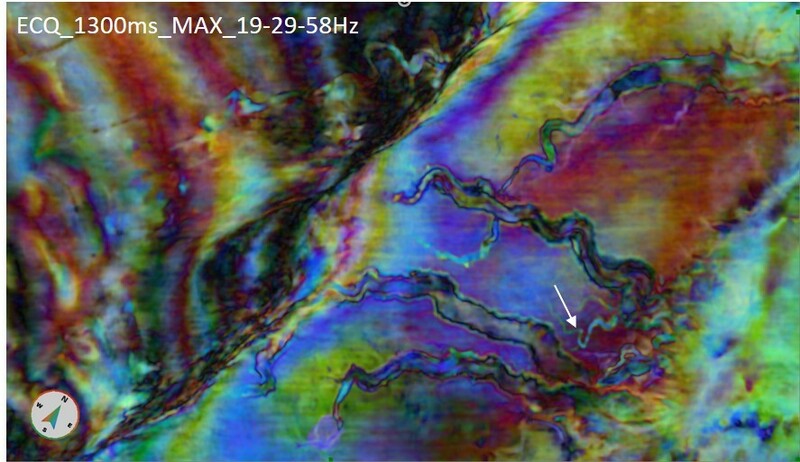 This is an important process as the Gross Rock Volume (GRV) is an essential input to the STOIIP or GIIP calculations. 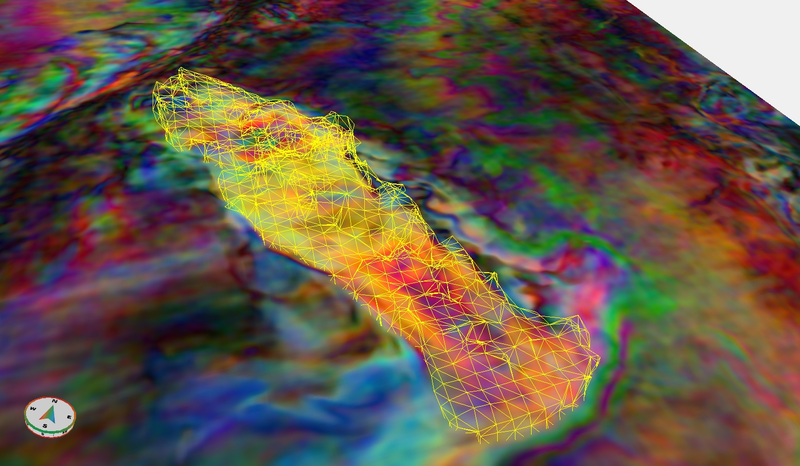 We can increase the accuracy of our GRV estimation with the use of existing horizons and the Adaptive Geobody tool. A common question with regards to RGB colour blends is “what do the colours show me” or “is there a way to show other areas with this response”. In this post we will look at how using the Mean frequency can be used to address these questions.